SKOPJE: A 42-year-old Emirati woman who says she was threatened by her family for wanting a divorce is now stuck in a Macedonia migrant center after the Balkan state rejected her asylum request, rights lawyers and activists said yesterday. 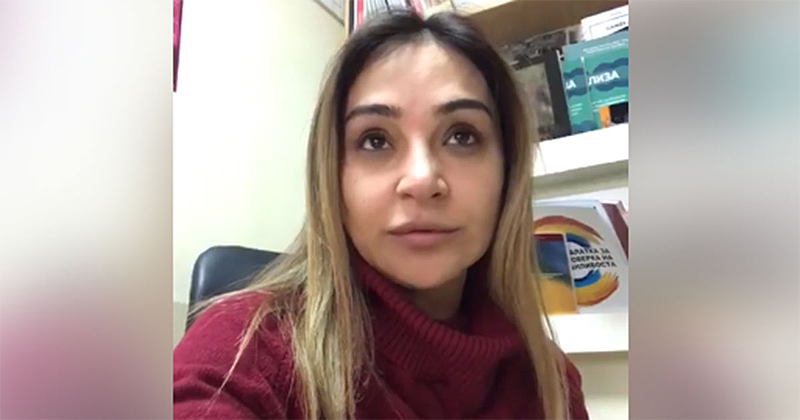 After filing for asylum in Macedonia in October, Hind Albolooki’s application was rejected the following month by the interior ministry which said her desire to “to live a normal life” was not grounds for granting protection. The decision was upheld by courts last week in a final ruling. Amid fears she could be sent back home to Dubai, lawyers stepped in and secured an injunction from the European Court of Human Rights in Strasbourg that bars her deportation while the tribunal processes her case. “For now, she is safe from deportation,” said Zoran Drangov from the Association of Young Lawyers in Macedonia, which filed the case. Earlier this month, Albolooki posted a video on YouTube describing her ordeal. “I came to Macedonia running away from Dubai as I have been threated from my father, his big brother, my brother, that they will make my life hell, and that’s all because I asked only for divorce,” she said in the plea for help. “I am the mother of four children, no mother would leave her kids like this, but I had to leave my kids, I had no other choice,” she added with a quivering voice. Uranija Pirovska, the director of Macedonia’s chapter of the Helsinki Committee for Human Rights, condemned what she said was an unusually swift rejection of the application by Macedonia. “This is a case of gender-based violence, which, unfortunately, was not recognized by our institutions,” she told AFP. She added that Albolooki “told me that she only wanted to live in a society where she could live and work freely, something she could not do in her home country”. In a statement published on Friday, the United Arab Emirates’ embassy in Rome, which overseas Macedonia, said it was “aware” of Albolooki’s social media posts and would “collect evidence of illegal threats made against her”. “Domestic abuse is a serious crime, and has no place whatsoever in the UAE,” it added. The divorce process for Muslims is governed by sharia law in the UAE. While the country is not as conservative as some neighboring Gulf states like Saudi Arabia, women still battle discrimination on many levels.